This October, the Marvel Universe prepares for the biggest battle it’s ever faced –Marvel is proud to present the first details for Avengers & X-Men: AXIS! AXIS, the nine part blockbuster comic event of the fall, brought to you by the chart topping creative team of Rick Remender, Adam Kubert, Leinil Yu, Terry Dodson and Jim Cheung, will take fans across the globe as the Avengers and the X-Men must band together to stop the destruction caused by one of the greatest villains in the Marvel Universe! From the ashes of the once proud mutant haven Genosha, an evil power rises. Exploiting the limitless gifts of the world’s greatest telepath Charles Xavier, the Red Skull has enslaved thousands, amassed an army and now broadcasts his message of hate across the world. Channeling the unstoppable force known as Onslaught, the Red Skull’s ruthless and unparalleled evil now wields a destructive power unmatched by even the most powerful heroes. 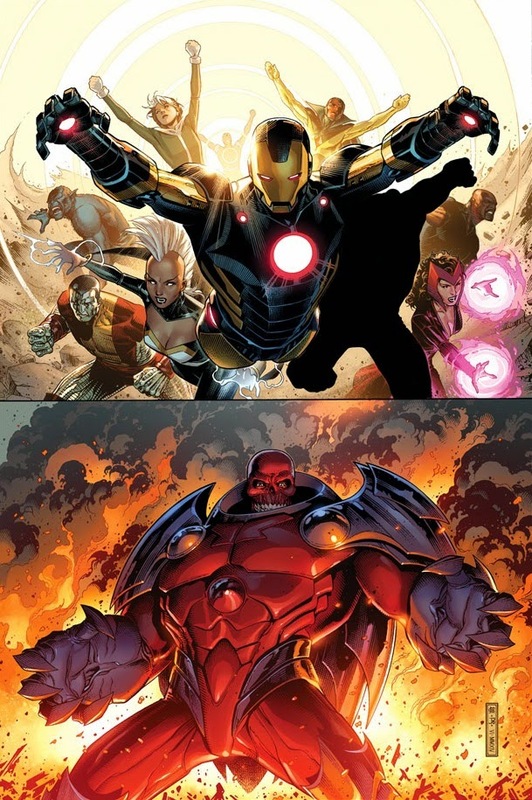 The fractured teams of Avengers and X-Men are now all that stands in the way of total obliteration. Earth’s last hope now hinges on the fragile alliance of these two estranged teams. In the shadows of the Red Supremacy, can they fight as one? Even united, they may not be enough to stem the coming darkness. And if they fall, all hope is lost. The battle begins this October in Act I of Avengers & X-Men: AXIS but fans anxiously awaiting the explosive first issue can get their first teases in March to AXIS, special lead in stories setting the stage for the epic event! The March to AXIS begins this September in Uncanny Avengers #24, Captain America #24, Magneto #9 and Loki: Agent of Asgard #6!